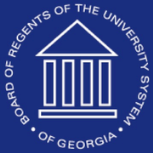 1) Officials of the governing board that oversees Georgia’s 31 institutions of higher learning have officially prohibited tobacco. The ban, which went into effect on Wednesday, applies “to all employees, students, contractors, and visitors on all property owned, leased, rented, or in the possession of the University System of Georgia (USG),” according to the Associated Press. “The ban will also apply to events being hosted by institutions within the system.” With over 315,000 students, USG is the fourth biggest university system in the country, behind Ohio, New York, and California. 2) About a month after launching its fifth upscale lounge in the U.S.—the latest one in Greenwich, Connecticut—Davidoff is already unveiling its newest lounge. Located in Ridgewood, New Jersey, a suburb of New York City with a population of about 25,000, the lounge will feature 2,400 square feet of smoking space, WiFi, 100 private humidified lockers, and an exclusive cigar called the Davidoff Lounge. 3) Inside the Industry: Victorinox, the company that makes the world famous Swiss Army Knives, has introduced its first knife with cigar scissors; it’s called the Cigar 36 and sells for $40. Davidoff announced it is releasing 14-count samplers of every Avo limited edition going back to 2001, except the 2005. 4) Deal of the Week: If you’re interested in the new Avo limited edition sampler (see above), consider picking it up from site sponsor Corona Cigar. They’ve knocked 11% off the price (down from $224 to $199) plus they include free shipping and a four-pack of Avo regular release cigars. Here's another awesome deal worth considering: CigarsFor.Me is selling TWO BOXES of CYB Lonsdale Clubs by Joya de Nicaragua for only $150 — plus you get free shipping. That comes to $3.57 per cigar.